Watches have come a long way since their inception in the 16th century. From pocket watches to wristwatches, simple time-only pieces to grand complications, there have been any number of paradigm shifts over the centuries. Today, we look at a Singaporean watch brand called Movas. The wristwatch in particular, as we know it, was first invented in the 19th century by Louis Breguet, and was popularised by its usage in military campaigns and wars. Tracking its use and form over the centuries, the wristwatch has adopted many forms and functions, each bringing its own dose of charm, elegance and appeal. Divers, pilot watches, chronographs, calendars, tourbillons, grand complications – every watch had a different function, and assimilated a different form as needed. Apart from the art deco-inspired pieces, mainly created with the aesthetic in mind and largely used circular movements despite tonneau or rectangular cases, the majority of watches assumed a circular case and bezel likely because other shapes did not serve to increase the overall functionality of the watch. Necessity was indeed the mother of invention. As late as the mid-20th century, watches were only produced by large-scale companies, usually based in Switzerland or Germany. 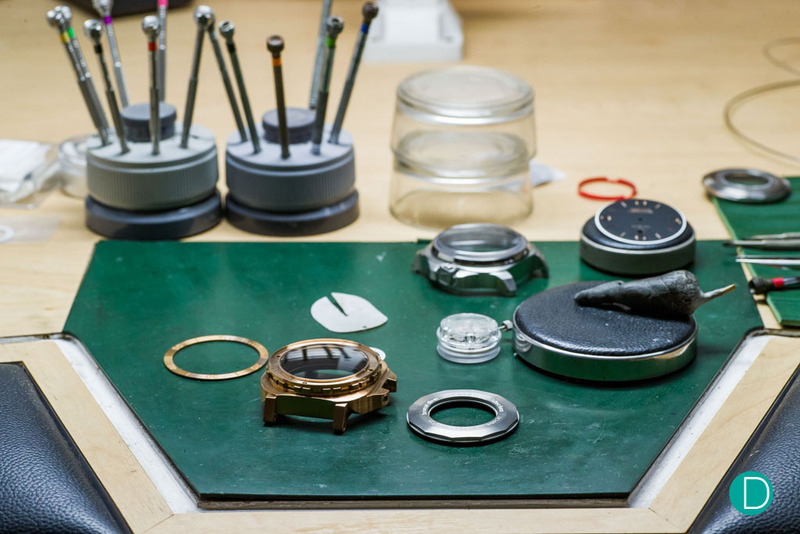 The resources needed to make a watch, from conception to production, were simply beyond the reach of most aspiring watchmakers who sought to do make watches outside of the factory setting. Even so, a large majority of these companies used ebauche movements. An ebauche movement is one that is made by another company which specialises in making movements and outsources it. Examples that come to mind include the 1963 First Series Heuer Carrera and Mark 1 Rolex Daytona which use the same Valjoux 72 movement, albeit with modifications. In fact, both these iconic watches also use dials produced by Singer, as do the Omega Speedmasters of that era. Back then, the concept of in-house manufacturing was not used as a measure of the quality of a watch. 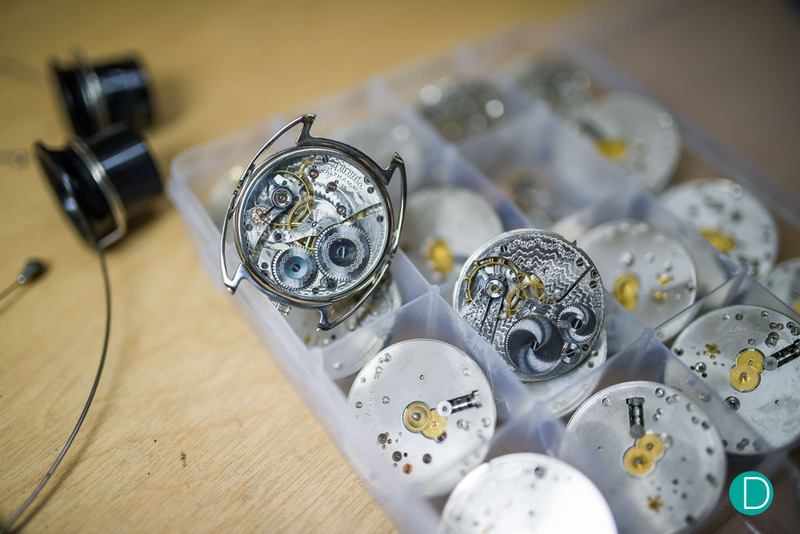 Today, watch lovers are still divided on whether in-house movements are superior to ebauches such as ETA, even if it is the COSC-certified grade. A noticeable, game-changing difference in the watch world these days is the accessibility of resources to aforementioned aspiring watchmakers: infinitely easier international communication with production factories, advent of design software and technology and open access to information. These factors, coupled with unbridled enthusiasm of watch lovers everywhere, have arguably led to the swift proliferation of independent brands that we see in the watch world today. Enter Sean Wai, an architect by training, bona fide watchmaker and self-professed non-lover of watches. While he does not appreciate watches as you and I might, he views them as expressions of design philosophies and principles. Each time he views a watch he immediately wonders if he can recreate it, not a typical reaction most of us have when beholding a timepiece. 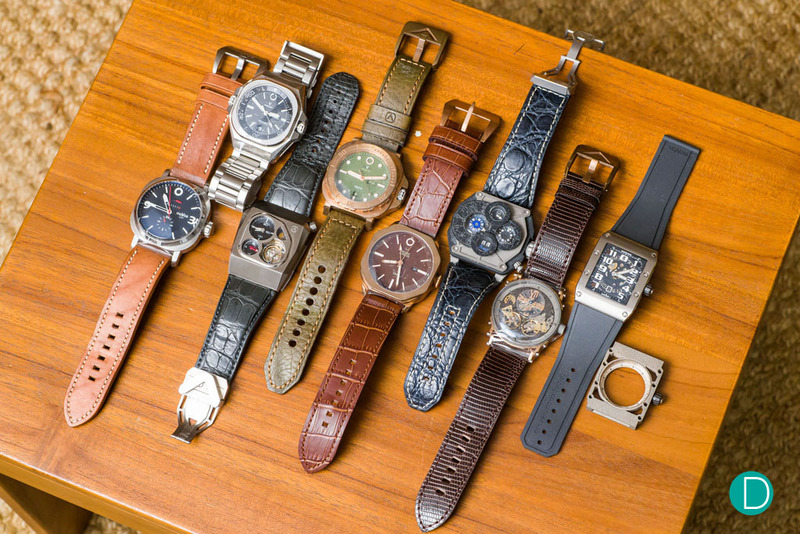 We sat down with Sean, founder of MoVas Watches, in his home to find out a little more about his unusual journey into watchmaking and why he finds watches fascinating anyway. Q: Tell us a little bit more about what you were doing before you got into watches. A: I was born in Malaysia and studied Architecture in Australia as a university student. I was always trying looking for ways to pay for university fees so I took on a job at a bakery while putting up at friends’ places to make ends meet. One day, one of my professors at school happened to drop by the bakery and saw me working and offered me a full time job at an architectural firm. I worked for 10 years in Architecture, but left because I felt that it was difficult actualising my dream concepts. So, I decided to try other things instead. I’ve always been active in sports and exercise, and regularly do road cycling. 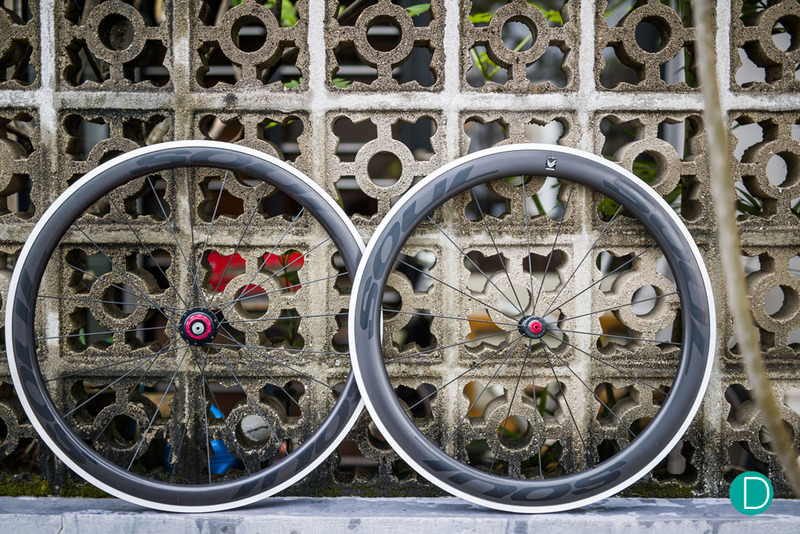 My first project outside of architecture was designing and selling bicycle wheels and frames in 2004. When I started that business, all I wanted was to have a race worthy bicycle that didn’t break my bank account…and there was really nothing available then. I’m always wondering what boundaries can be pushed and what can be changed or improved no matter what I’m doing at the time. In 2009, I felt like creating something new with a good friend of mine. He loved watches, so we went with that. At the time, I was quite taken with the design of Panerai watches, so that played a large part in my earlier watches. After a while, I moved on to take design cues from other brands, both mainstream and independents. 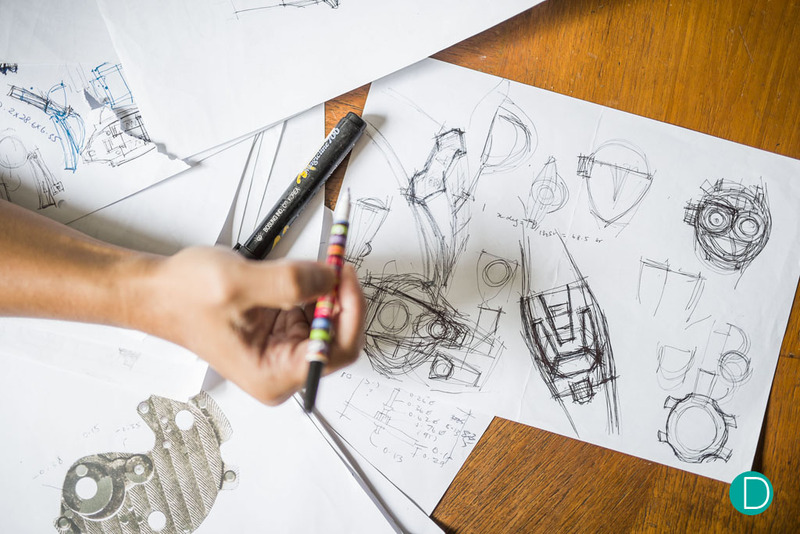 Q: You must have been exposed to many influences in terms of designing all your life from architecture to watches. What would you say are some of the biggest inspirations in these fields? A: In the field of architecture, giants such as Kenzo Tange, Renzo Piano, IM Pei and Alvaro Sizar were my inspirations. As for watch designers, Gerald Genta and Vianney Halter represent pushing the boundaries of modern watchmaking to me. 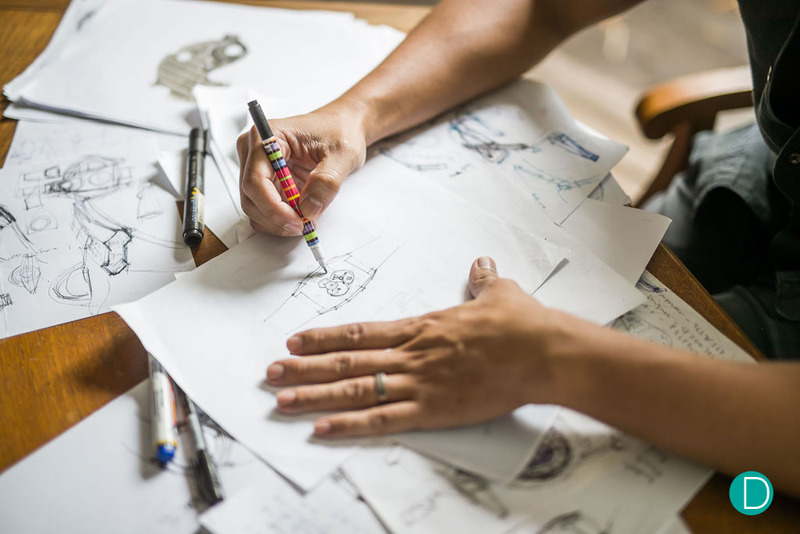 Especially Vianney Halter, which speaks to me on an architectural level – their watches are almost like a building that’s been downsized into a wearable watch. Q: Not many people, if any, make a career switch into watchmaking. Were you a watch enthusiast before that? A: That’s a good one, and no I actually wasn’t particularly interested in watches. As a matter of fact I still don’t particularly enjoy watches as timepieces. I’m really more interested in the challenge and process of applying my design principles and ideas on a little machine that fits on a wrist. I constantly experiment with different ideas for the case shapes, sizes, finishes, and dial layouts and executions. Q: So what would you say is the main guiding principle you have in mind when you design? A: I would say that the form of the watch must follow its function. When I conceptualise a design, I do away with extraneous lines, curves or bits that simply do not add to the basic idea behind that watch. At the same time, I also try to find new ways to represent the same functions, within the limitations of the movements available to me. I choose to use Chinese movements to try to keep costs low, and I generally find them to be comparable to their Japanese and Swiss counterparts. Q: How would you say your style has evolved since you first started making watches in the 8 years since you started? A: For the most part, my watches show the time in a traditional layout with 3 hands, along with the respective complications in each model. The Military, Diver and Oceaner lines are representative of that. I’m now trying to experiment with different case shapes and also methods of showing the time, as you might see in the R.A.W and Exotica lines. I’m working on a new line at the moment which is completely different from the past works. Stay tuned for the Dreamcraft series! In a very real way, Sean of MoVas watches is keeping true to watchmaking traditions, allowing form to be guided by function. 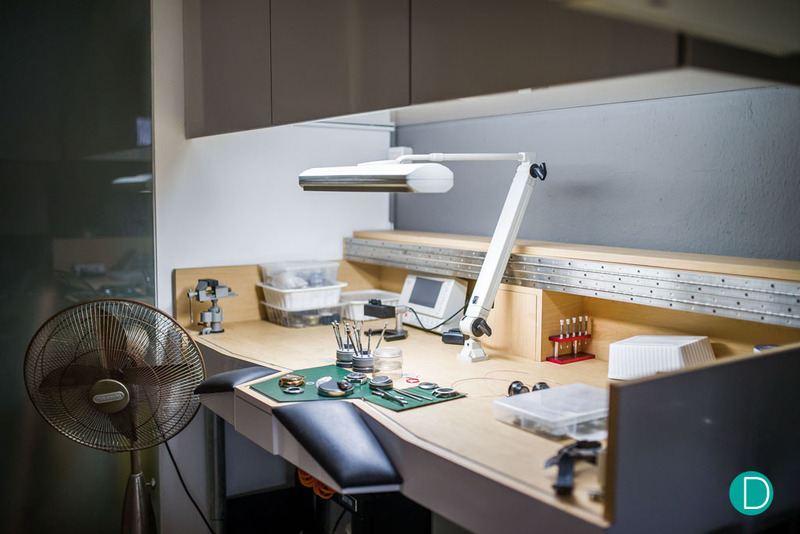 Coming up in next week’s edition of MoVas: From Buildings to Watches, we will cover more on Sean’s 4-step production process, and the difficulties and challenges faced by an independent brand in today’s world of horology.